This class is geared for all levels in order to strengthen skills as they apply to Musical Theatre Dance. 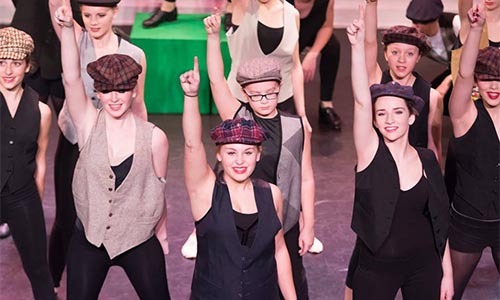 The curriculum will explore a full spectrum of Broadway styles- Classic to Modern. Big production numbers are learned each week and performed at the Showcase at the end of the semester. Level 1 & Level 2 placement is determined by instructor. Please contact Sheri Melcher at sheri@capaa.org/570.252.4156 before registering with questions.